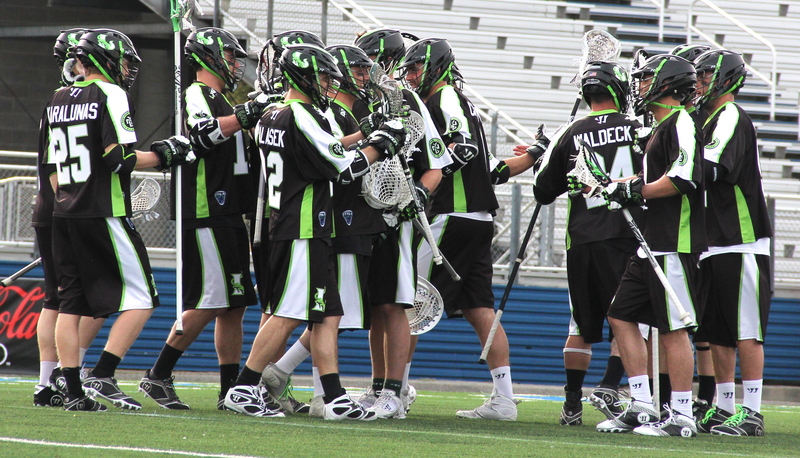 As of Monday, April 6, 2015, the New York Lizards Lacrosse team has named its 25-Man Roster for the 2015 regular season. This comes six days ahead of their April 12th home opener against the Ohio Machine beginning at 5 P.M. at Hofstra University’s James M. Shuart Stadium. Below is the official roster, as well as a profile on some of this season’s key players. #14 – Drew Adams (goalie) has played with the Lizards since 2009 after finishing up his collegiate at Penn State. Adams was named the Warrior Goalie of the Year in 2012 and is a three-time MLL All-Star. In the 2013 season, he recorded a league best 209 saves and played the league’s highest with 836 minutes. #32 – Greg Gurenlian (face-off) is another Penn State alum whom began his career in Major League Lacrosse in 2006. The Lizards acquired Gurenlian in in the 5thround of the 2010 Supplemental Draft. Since then, he has had several career highs, including being a two-time MLL All-Star, three-time member of the All MLL Team and being named the 2014 MLL FOGO of the Year. #3 – Rob Pannell (attack) has made a name for himself in the MLL in the two seasons of his professional career. The Cornell alum and Smithtown, NY native is a two-time MLL All-Star. In 2013 he was named the Cascade Rookie of the Year and last season he was New York’s leading scorer with 33 goals. Between off-season trades and the supplemental draft, the Lizards have acquired players who are new to the team, and in some cases, Major League Lacrosse (MLL). #5 – Andrew Casimir (midfield) was a 1st team All-American defenseman at Dowling College in 2011. In 2012, he participated in the 2012 LXM Pro Tour. #26 – Chris Piccirilli (defense) of Davidsonville, MD, is a 2014 Villanova graduate who was selected to the All-BIG EAST Second Team in his senior year. #15 – Matt Poskay (defense) will be playing in his ninth season in the MLL, this being his first with the NY Lizards after being acquired in the 2015 Supplemental Draft. #99 – Paul Rabil (midfield) has played in the MLL since 2008, after graduating from Johns Hopkins and being drafted by the Boston Cannons. Since the beginning of his professional career, he has been recognized for his exceptional playing, including previously holding the fastest shot in the world. Some players have gotten their chance to play with the Lizards before and have been brought back to bring the Lizards closer to another championship. #17 – Joe Fletcher (attack) was a first round draft pick from Loyola prior to the beginning of last season. A Syracuse native, Fletcher was the only college player/rookie named to the 2014 Team USA 30-Man training roster. #91 – Brian Spallina (defense) has been a part of the MLL since its inaugural season. Brian has played for the Lizards (then known as the Long Island Lizards) twice before from 2001-2002 and 2009 – 2011. In his 13 seasons as an MLL player, he has won six Championships, played in over 100 games, and was a member of the 2011 All-MLL team. #18 – Max Van Bourgondien (midfield), a Cornell graduate, was originally drafted by the Charlotte Hounds in 2013 and traded to New York. He played one game for the Lizards before suffering a season-ending foot injury. Max Seibald & Brian Karalunas (midfield & defense, respectively) – As a part of an off-season trade with the Boston Cannons, the Lizards traded Seibald and Karalunas for Paul Rabil, Mike Stone, the Lizards’ 2016 first and second round MLL Collegiate Draft picks, and their 2017 first round MLL Collegiate Draft Pick. The two players have a decades worth of MLL playing between them, as well as several honors. Albert Maione (midfield) – Citing previously sustained injuries and business obligations, among other things, this five year Lizards and MLL veteran decided to retire in the off season. Maione’s last season in the League saw him set two single-game career highs: scoring three goals against the Rochester Rattlers on April 27 and two assists on July 3 against the Florida Launch. For more information or to purchase tickets for the Sunday, April 12th home opener, call 1-855-NYLizards or go online to NYLizards.com.